yo yo, where's our feets? Queen Penelope is feeling better, but she SAYS she is still not up to visiting, so I am doing it before I go out and catch mice. Fantastic pictures and Happy Earth Day to you too. Take care. 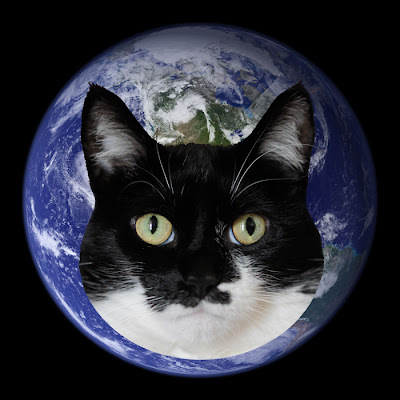 Happy Earth Day, Katie and Glogirly! Oh, we LOVE this with all the kitty arms! Happy Earth Day! That's a PAWsome graphic!! Great pictures, but that's what we love when we come here! We hope Earth Day this year helps raise awareness that the Earth is our only home. My human took the Metro to the L.A. Times Festival of Books today (and yesterday too!). So she saved gas and had fun... plus she sold a copy of my first book! We love those photos! Happy Earth Day! That is a excellent post for today! After all, kittehs do hold up the earth--right? Wait--what? Oh, never mind. As usall it´s all my mom´s fault ! 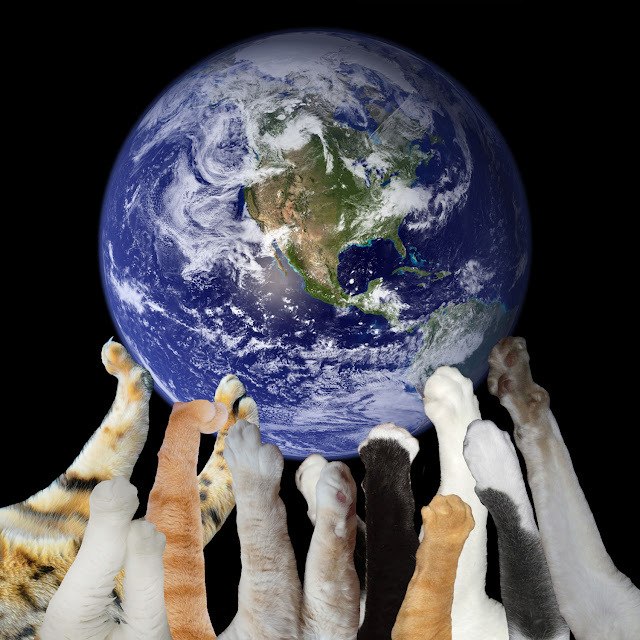 Great earth picture with all the paws !